This collection of unlikely remixes is remarkable and varied: there are punchy, up-tempo techno grooves, trancy, haunting ambient tracks, collisions of morphing and fusing sounds, and strange stereo barrages. 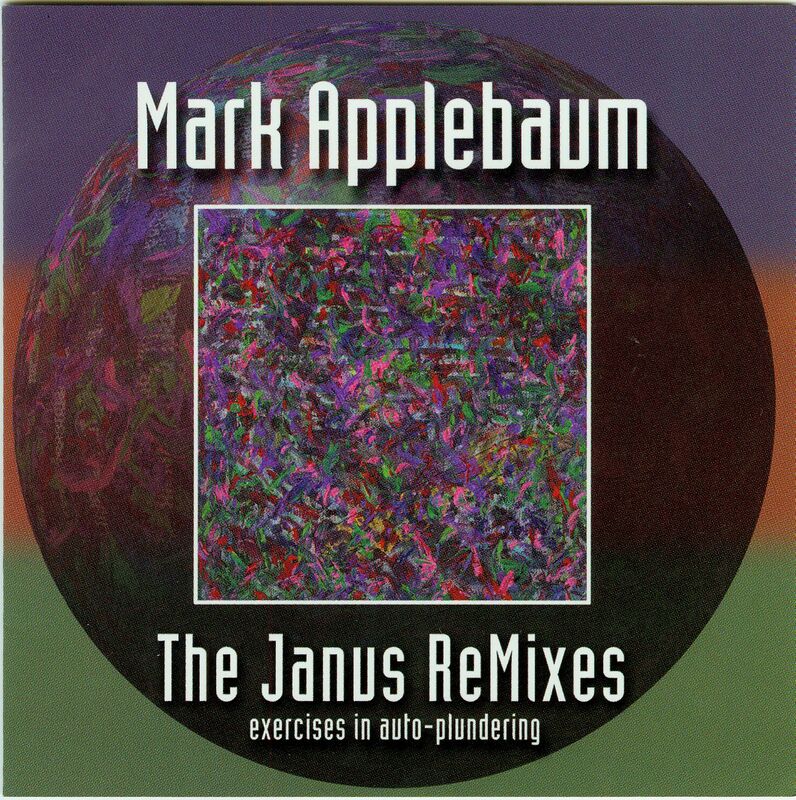 From 1992 to 1996 Mark Applebaum composed The Janus Cycle, eleven solo, chamber, choral, and orchestral works for virtuoso musicians. The eleven works were performed and recorded. Then Applebaum hacked them to bits with his computer and painstakingly reassembled each one, making wild new pieces. The result are the Janus Remixes: bizarre and compelling modern musique concrete that turns the concert hall on its head. Mark Applebaum (b. Chicago, 1967) received his Ph.D. from the University of California at San Diego where he studied with Brian Ferneyhough. His music has been performed throughout the United States, Europe, and Asia with notable premieres at the Darmstadt sessions. He has received commissions from Betty Freeman, the Paul Dresher Ensemble, the American Composers Forum, and Zeitgeist, among others. The American Music Center awarded him the 1997 Stephen Albert Prize for most promising young composer. Applebaum has taught at UCSD and Carleton College; he is currently on the music faculty at Stanford University.